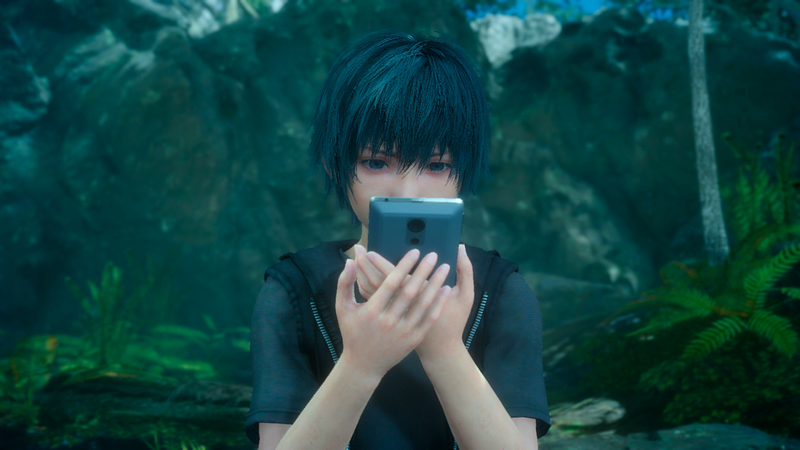 The newest playable teaser for Final Fantasy XV is short, but it still has a few cool things secreted away inside the dreamscape of young Noctis. The best thing players have found so far is a weapon that makes the final boss fight a breeze. Obviously, spoilers if you haven’t played the FFXV Platinum Demo yet. The last confrontation in the Platinum Demo has the younger version of lead character Noctis transforming into his older self and facing off with a massive Iron Giant enemy. The older Noctis has the skills players will be using in the final game, including the ability to warp, which lets him teleport and lodge his weapon into specific spots in the environment. This talent lets you explore the higher planes of the Citadel area where the fight happens and is the key to finding the Cross Shuriken. This video by Cypronis shows how to get up where the Cross Shuriken is hiding. Once you get it, it can be pretty devastating when used the right way. Here’s a video on TMT1022’s channel where the player doesn’t take any damage at all. Update: As commenters have noted, there are other hidden weapons in the demo. Pixel Precision’s two videos below show how to get the Radiant Sword and Shining Hammer items, as well as additional spells. We’ll see if the Cross Shuriken and the other hidden weapons are still this strong when Final Fantasy XV comes out this September.